Gift giving is a tradition that transcends age, culture, and time. Everyone loves giving gifts as much as they enjoy receiving them! However, finding the perfect gift for that special someone can be a real challenge. If you’re having trouble finding a gift for your wife or girlfriend, let us inspire you. Read on to discover the seven most unique gift ideas for her. Jewelry is sometimes given too frequently in relationships, so many men dismiss this option altogether. However, if you take the time to find the right piece, gifting jewelry can be romantic and thoughtful. Discover her favorite gemstones and styles and find a unique piece of jewelry that fits her aesthetic. If you have only been together for a couple of years and you discover that she loves emeralds, a single emerald in a charm necklace will convey your love without overwhelming her. On the other hand, if many years have passed since you two first fell in love, a vintage band to add to her wedding set is most appropriate and also romantic. Some women aren’t interested in diamonds or pearls—they’re more interested in gourmet food, tea, and wine. For all women who are interested in the finer things in life, a gift basket that includes all of their favorites will be sure to delight. Your beloved will be pleasantly surprised to find that you remembered her favorite treats—even after all this time! Sometimes, you may need a little assistance creating the perfect gift basket for women. In that case, research professional gourmet gift basket companies to see what is available. 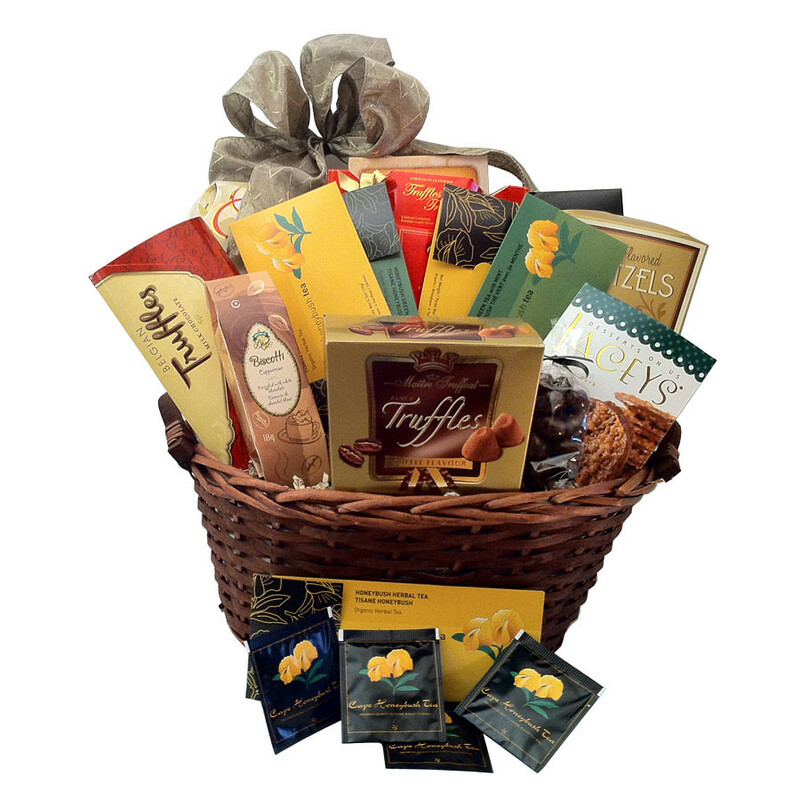 Gift baskets are great gifting options that are sure to represent your love. If you love the gift basket idea and want to take it even further, consider a subscription service. Sign her up to receive monthly teas, chocolate, or even beauty supplies! Subscription boxes are often available in three, six, and twelve-month increments, allowing you to continuously surprise her with something special each month. Talk about the gift that keeps on giving! You can keep this subscription a secret or give her a card that details what she’ll be receiving every month. Some companies even let you choose your own items month-to-month, so you can directly contribute to surprising your love. If you’re a handy guy, sometimes a homemade creation will best express your sentiments. You can make something simple like a picture frame with her favorite photo to serve as a reminder of your sweet memories together or little sachets filled with chamomile or lavender to help her relax after a long day at work. Regardless of what it is that you present, she’ll be sure to understand that you took the time to craft something meaningful just for her. If a larger handmade gift is your goal, a reclaimed wood coffee or end table may make the perfect gift. Just be sure that you start in advance to account for any delays in your project! If she is the kind of person that loves entertaining guests, then she may really appreciate quality serving trays and food sets. You can give her beautiful wooden or marble serving trays for food and appetizers—these serving items will help her host any party with elegance and ease. Additionally, if she appreciates the finer things consider a crystal decanter along with her favorite bottle of wine. She’ll be sure to enjoy her new china whether she’s enjoying a night with friends or snuggling up with a good book. To really show her your commitment to your relationship, consider matching items that are customized with your names or initials. Bathrobes, towels, mugs, and even t-shirts can be a fun way to show your affection. While having your names sewn or printed across an item is a fun idea, you can also take this a step further and create a more personally designed gift. If you two share an interest in a certain book or movie, and your favorite characters reflect your individual personalities, add them onto your his-and-hers items for a more custom touch. Sometimes you don’t need to buy anything new—you simply need to enhance something that she already owns. Jewelry, for example, can be easily engraved with a personal note. 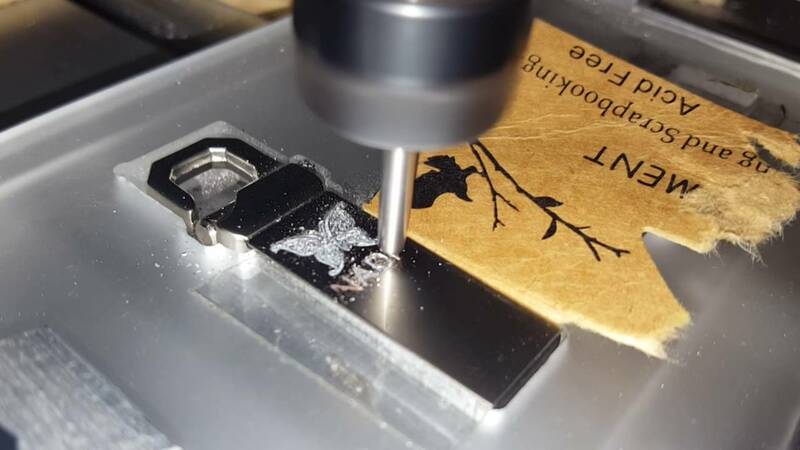 Take her favorite piece of jewelry and have a professional engrave your initials, a quote, or a special date on the inside. She’ll love that her necklace now carries your sincere affection. Since you can also engrave pieces of wood, sandblast glass or stone, or print on fabric, anything in your home can be customized to represent your special relationship. Sometimes the wrong gift can have a detrimental effect on your recipient’s mood. Ensure that you’re getting her the right gift by extensively researching her likes and interests. Give her something she’ll really appreciate, whether it’s a fancy piece of jewelry, a gourmet gift basket, or a wooden picture frame. Regardless of what you decide giving her as a gift, she’ll love that you spent the time and put in the extra effort to get her the perfect gift. Having the pleasure of gifting a man cannot be fairly straightforward every time. From sitting like a lazy bum on a couch while hogging popcorns or sleeping throughout the day. No matter how irritating he can be but you still love for all the sweet things he has done for you. He can be your brother, boyfriend or just a best buddy whom you don’t want to lose. We have come up with amazing gift options which will be just perfect for any guy and for all occasions to come. Despite of the age, men are always little kids at heart. Even if it is just for a fraction of time, they love to play video games all the time. Dare you disturb them when they are playing their video game and we assure you that you are in for a trouble? They love to own a gaming console, hence gift them a trending video game and we are sure that he love you from the core. Men by very nature are fidgety especially when they are ideal. Present them with a useful tool kit which will allow them to fix things or can help you to create real creative things for every occasion. Men love to experiment and so a tool kit with all the important tools will make great gift for him. Men are more drawn towards pets. If you are planning to gift a single man, the best gift would be company so it is best to gift him a company of a lovely pet. Get him a dog which is considered to be a man’s best friend. This is one gift which he will never forget for all times to come. Men are spontaneous, tell them a destination and they will be all ready with their back pack to leave. You can help him with all the planning process. Get the tickets booked and plan all the modes of transport and get his bag packed. We are sure that he will be taken by surprise. Last but not the least, no one can say no to chocolates. Shop for some of the best branded chocolates to make him feel special. If he hate flower bouquets then go for an amazing chocolate bouquet with Ferrero Rocher studded inside it to make him feel special. It can be ideal rakhi gift for brother while complementing it with the most amazing rakhi for the occasion.